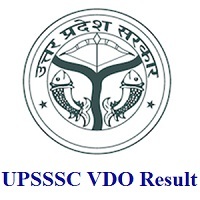 UPSSSC VDO Result 2019: As the officials of the Uttar Pradesh Subordinate Service Selection Commission (UPSSSC) had recently conducted the UPSSSC VDO Exam on 22nd, 23rd December 2018. So, for that examination, they are planning to announce the UPSSSC VDO Exam Result 2019 on their official portal @ upsssc.gov.in. Most probably, the results will be Expected to Release in February 2019. So, candidates who have given their test need to check this page. Furthermore, we have given the exact information of the UP Gram Vikas Adhikari Cut Off Marks, the उत्तर प्रदेश अधीनस्थ सेवा चयन आयोग VDO Merit List and the direct link to check out the Uttar Pradesh SSSC VDO Result 2019 online. The उत्तर प्रदेश अधीनस्थ सेवा चयन आयोग VDO/ GVA Result 2019 will be available through online mode at upsssc.gov.in. Aspirants have to use the Hall Ticket Number, Date of Birth details to check the UPSSSC VDO Result 2019 from the official website which is Expected to Release in February 2019. After completion of the examination, the board authority of Uttar Pradesh Subordinate Service Selection Commission (UPSSSC) will take few days of time to declare the Uttar Pradesh SSSC VDO Result 2019 at the organization website. So, it is very important for you to obtain results to know the status of the next levels. The officials of the Uttar Pradesh Subordinate Service Selection Commission (UPSSSC) will also declare the UP Gram Vikas Adhikari Cut Off Marks list for the examination soon after the announcement of result. Moreover, the Cut Off Marks are the minimum marks required by the candidate to qualify the UPSSSC VDO Exam. Furthermore, these cut off marks will be prepared on the basis of the number of candidates appearing in an exam, and the level of difficulty of the exam, marking scheme, the number/ availability of seats etc. On the basis of a number of candidates appeared in the exam, difficulty level of exam and considering another necessary factor we have prepared an expected cut off marks for VDO Examination. We even advise you to download the UPSSSC VDO Result 2019 from the official site before the link vanishes. As soon as you obtain the Uttar Pradesh SSSC VDO Result 2019, you need to make sure that the results obtained were yours or not. Within the same time, you can also check the UPSSSC VDO Merit List 2019 from the official site @ upsssc.gov.in. Moreover, we have given the direct link to check out the UPSSSC VDO Exam Results 2019, so you can directly go with that and can find the merit list also. Accordingly, candidates can follow accordingly and easily get UPSSSC Village Development Officer Result 2019. Along with UPSSSC VDO Result 2019, aspirants should also obtain Uttar Pradesh SSSC VDO Merit List. Alternatively, you can also obtain this selection list with the help of links given below. So, to get all such updated information you can visit our FreshersNow page on the regular basis. Initially, candidates need to move to the official site of the Uttar Pradesh Subordinate Service Selection Commission (UPSSSC) @ upsssc.gov.in. And then in that home page, search for the official Uttar Pradesh SSSC VDO Result link. Click on the link specified and then enter the valid application number, date of birth or password. Cross check your details and then submit the page. Now, your UPSSSC VDO Result 2019 will be displayed on the screen. Next, download it and also take out the printed copy of it for further usage. The corresponding link to download the UPSSSC VDO Result 2019 PDF will be active at official website upsssc.gov.in when the officials announce them officially.